Since 2012 the OWSD-Elsevier Foundation Awards for Early-Career Women Scientists in the Developing World recognize the achievements of researchers who have made significant contributions to the advancement of scientific knowledge. The program represents a longstanding partnership between the Organization for Women in Science for the Developing World (OWSD) and the Elsevier Foundation. Succeeding in the competitive world of science is challenging under the best of circumstances. But women scientists in countries with scarce resources and competing cultural expectations face significant additional obstacles as they strive to excel at careers in science. 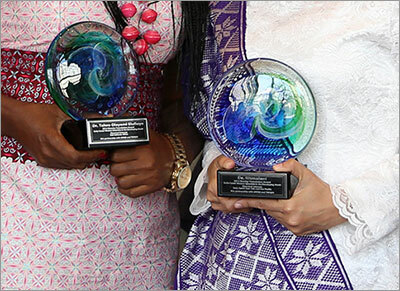 This awards program takes those factors into account by recognizing the research excellence of early-career women scientists from 81 developing countries. The program builds on the Elsevier Foundation-OWSD Awards for Young Women Scientists from the Developing World, which granted awards in 2010 and 2011. Prizes are awarded annually on a rotating basis among the disciplines of Biological Sciences, Engineering Sciences and Physical Sciences. Each of the five winners will present their papers at the annual conference of the American Association for the Advancement of Science (AAAS), which is attended by leading scientists, engineers, educators and policymakers from around the world. Each year a total of five winners are selected, from the following regions: Latin America and the Caribbean; East and South-East Asia and the Pacific; Central and South Asia; Sub-Saharan Africa.